It has been a couple of weeks now since I started playing Minecraft again. I had a slow start due to guest in real life, and my car-sickness-like Minecraft-sick. 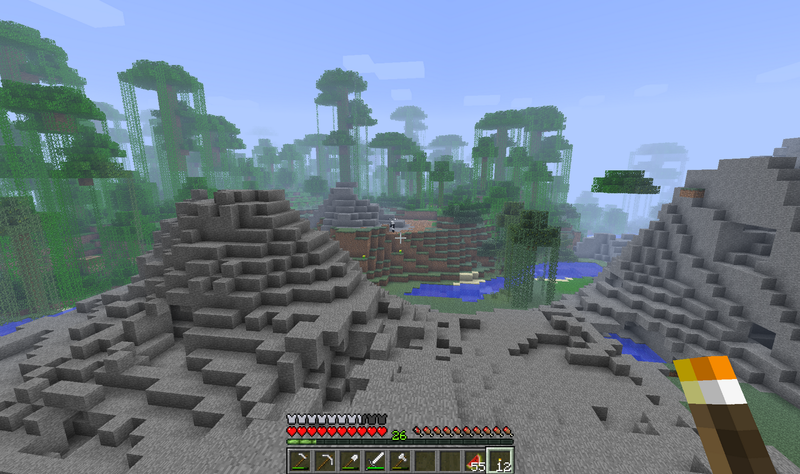 After a week of Minecraft training, I seemed to be able to stay in the game for hours without feeling nausea. You have no idea how sick I could get with Minecraft. The Head Bobbing gives me a really uncomfortable feeling. I turned it off since I started playing the first time ages ago. Perble Bear suggested I should also change the FOV setting because the default is set to the lowest. I think I'm comfortable with 75. This server I'm playing on is only about a month old. A lot of construction, for the good, was going on. Whenever they tried to do something big, I had a lot of mini roll-backs. This has improved a lot since they've done most of the work already. Also the server's moved to a better one. It seems to be a lot better these days. Our brains are amazing at learning things without us realizing. Well, yes, even my brain. -.- I'm more used to the movement speed nowadays. Though yesterday my mouse was out of battery and I had to use my wired mouse to play for a bit. That brought back the nausea a tiny bit so I decided to just wait until the mouse is charged. *sigh* Yes, a new mouse is already on the NEED list. So, good news for me, that I no longer get the really bad Minecraft-sick. Here's a screenshot of Perble Bear in action to reply to his post yesterday. See what he is doing? He's taking the dirt of mountains away for his secret project. I should have set up a dirt shop just for him.